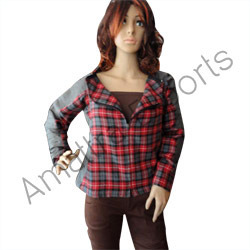 We offer a wide spectrum of Ladies Designer Jackets that are made from quality fabric. The stylish and durable range is in compliance with latest market trends. The range is available in dark colors and patterns and can be customized as per the requirements of the clients.